The Midwest Clinic - Do You Hear What I Hear? Clinic Synopsis: The breadth and depth of how we listen ultimately determines our effectiveness as a conductor. Thus, all conductors face the challenge of developing discerning listening skills that elevate aural awareness and serve to maximize rehearsal efficiency. With the assistance of the United States Army Band this clinic will focus on the multiple kinds of listening that are critical factors in determining the effectiveness of rehearsals and offer strategies to refine these proficiencies. Clinician Biographical Information Richard Floyd is celebrating his 45th year as a conductor, music educator, and administrator. He has enjoyed a distinguished career at every level of wind band performance from beginning band through adult community band programs. He serves as state director of music at the University of Texas at Austin where he coordinates all facets for some thirty-five hundred secondary school performing organizations in Texas. He is also musical director and conductor of the Austin Symphonic Band, which is considered to be one of the premier adult concert bands in America. 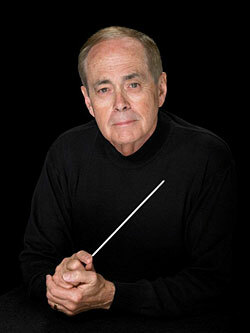 Floyd is a recognized authority on conducting, concert band repertoire, and music advocacy. He has also toured as a conductor, clinician, and adjudicator throughout the United States, Canada, Australia, and Europe.